The Nest Beachside Spa, Sanur, Bali. Information, Photos and Reviews. 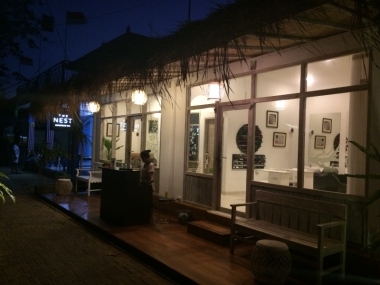 Opened in December 2015 by local Balinese Dayu Lany Kristina, The Nest Beachside Spa is located directly on the beachfront of the popular Bali tourist destination village of Sanur. The Spa enjoys views directly out to the Bali Sea, the island of Nusa Lembongan and one of Bali's most famous surf breaks - Hyatt Reef. The Nest Beachside Spa is dedicated to your health, wellness and relaxation, with skilled and professional staff helping to enhance this perfect environment to renew and revitalise your mind, body and soul. Our service to you has been thoughtfully selected and prepared to include massages, body scrubs and wraps, facials and nail treatments plus many more. Every guest is greeted with a cooling towel and welcome drink. After your treatment, a scoop of our own prepared Lime and Peppermint Sorbet will add some extra 'zing' to your senses and help provide an internal cool down before you head back out into the warmth of Bali. For the perfect Spa experience in the most conducive setting, The Nest Beachside Spa will give you an exclusive Spa experience, delivered in the most authentic manner to leave you with a feeling of complete relaxation, rejeuvenation and peace. We also welcome 'little princesses' and encourage you to bring them along to enjoy a treatment from our specially designed childrens menu - complete with our specially designed childrens chair. Of course we do ask you and them to be considerate to other guests that are having treatments done, as they have come here to be pampered and relax also. Children need to be supervised at all times please. We look forward to welcoming you to our Spa very soon! 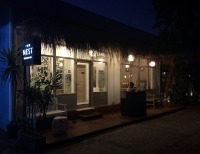 Nobody has reviewed The Nest Beachside Spa yet, Be the first. You are submitting a booking enquiry. The Nest Beachside Spa will then contact you by email with details of availability and prices.